Most of the public bathrooms in Coney Island are pretty unremarkable. The NYC Parks Department operates several beige and white cinder-block “comfort stations” that offer visitors simple, efficient and (usually) clean facilities. But one of the women’s rooms on the boardwalk stands out from the rest. For years, I wondered who was behind the decorations. Years ago, before I lived in Brighton Beach, I walked into the restroom near Brighton 2nd St and was surprised and delighted by what I saw. 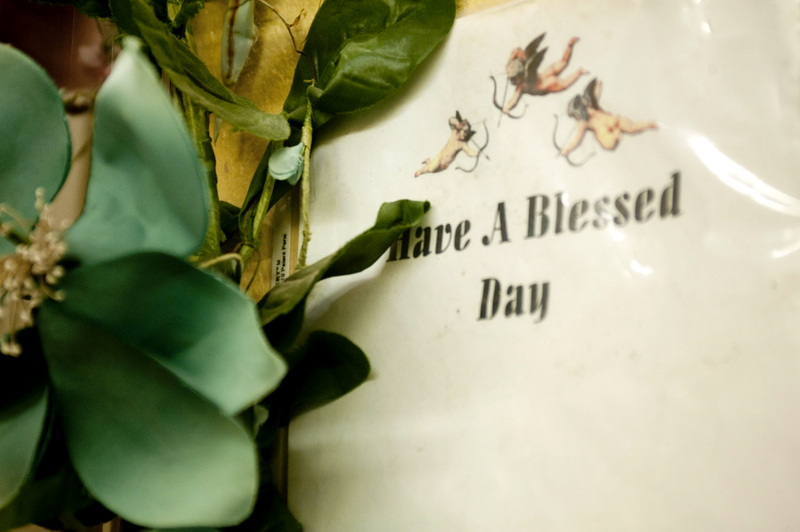 Wreaths of silk flowers bordered the mirrors, photographs adorned nearly every wall and gospel music played over the sounds of flushing toilets and roaring hand dryers. I felt like I had stumbled into someone’s secret garden–a little oasis on the boardwalk and, for years, I wondered who was behind it. For the past couple of months, I have been covering Southern Brooklyn as a freelancer for DNAinfo. While thinking about local stories to pitch, I remembered the bathroom and took the opportunity to investigate this little mystery. As it turns out, the woman behind the restroom ambiance is a 63-year-old Parks Department seasonal employee named Hazel Chatman. 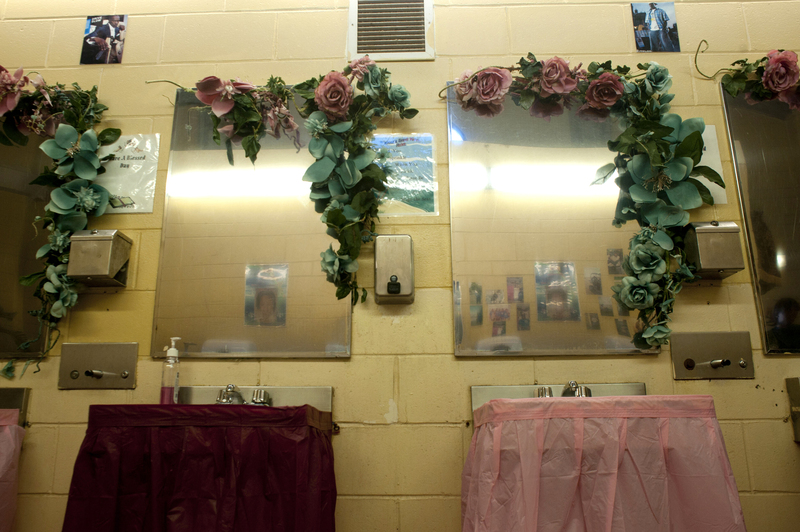 For nearly 20 years, she has spent summers beautifying the bathroom she works in. I was really happy to get to meet Chatman, who, it turns out, is as lovely as her decorations. To hear her story, check out this short video that I made for DNAinfo. Click here for the full story on DNAinfo. This entry was posted on Sunday, June 10th, 2012 at 11:01 pm. It is filed under Blog and tagged with Brighton Beach, Brooklyn, Coney Island, DNAinfo, Quirky, video. You can follow any responses to this entry through the RSS 2.0 feed.